With the start-up fever on, Analytics India Magazine as a new segment introduces Start-up of the Week. Through this segment we will be bringing you inspiring stories of innovative, different start-ups who have dared to make a difference. This week we present one such start-up SuperFan.Ai. Well, let’s find out their story. SuperFan.Ai revolutionizes the way an influencer connects with his audience using a personal chat bot. It lets influencers simply chat to their fans directly one-on-one, like they would with any of their friends using artificial intelligence. Superfan.ai provides a personal connect by Influencers with their followers using AI. Their core engine is a chat platform powered by artificial intelligence using NLP. The chatbots at SuperFan.ai can engage and automate conversations with end-users at scale on a one-on-one basis, across messaging & chatplatforms. Their tool allows any influencer with an engaged community around his/her passion to connect individually with his audience. A 1-0-1 & 2-way connect / communication with the follower – giving fans & followers a voice to interact with the influencer & helping the influencer find & thank their true & ardent followers. It helps an influencer to increase engagement with their audiences & convert “at-risk” fans into “superfans”, thus increasing his own brand value. It enables an influencer to send the right message to the right audience at the right time through demographic, location & other details available with a success rate of 95% of the time, messages being opened & read (as opposed to 65% of the time message is lost in the feed) to the influencer thru back-end statistics provided. The superfan.ai dashboard lets clients view charts and graphs on their follower demographics, locations, engagement levels etc. so they can hone in on their most important followers. The chatbots put the fun back into interactions. Also, Chat data is the analytics gold mine. Identifying what people really want through their queries is what makes chatbots an ideal tool for engagement. Beyond their general analytics offerings, you can take advantage of machine learning and advanced statistical methods to improve your content & engagement. They will show you the most interesting conversations that you’ve had with your audience and break down the common responses to the questions your bot asks. You will be armed with the tools necessary to both dig deep into conversations or to get a high-level view of how your content is performing & audience engagement. The beauty of SuperFan’s bots is they’re dynamic. They can provide filters that then route individuals to the right information and then proactively respond when new information is available. These bots can ultimately replace personal websites, provide a new way to contact people, and could save countless hours to filter through requests and inquiries from fans & followers and respond personally to each such question. The company creates chatbots that can be published to popular messaging platforms like Facebook, Skype, Slack, Viber, Telegram & many more. So go beyond just text to take advantage of rich platform-specific features like cards, structured message, images, videos and sound effects. The bot can interact in multiple languages including English, Hindi, Tamil, Telegu, Marathi, Gujarati & Hinglish. SuperFan targets any influencer who wants to connect with his audience directly. The influencer could be a celebrity, production house (movies, tv shows), sports personalities, sports teams, political influencers, political parties, individual artists, Brands, SME’s, Corporates etc. SuperFan.ai’s current client base ranges from production houses, individual celebrities, radio channels, brands, corporates, to politicians to create their chat-bots for gaining a deeper & meaningful interactions with their followers. 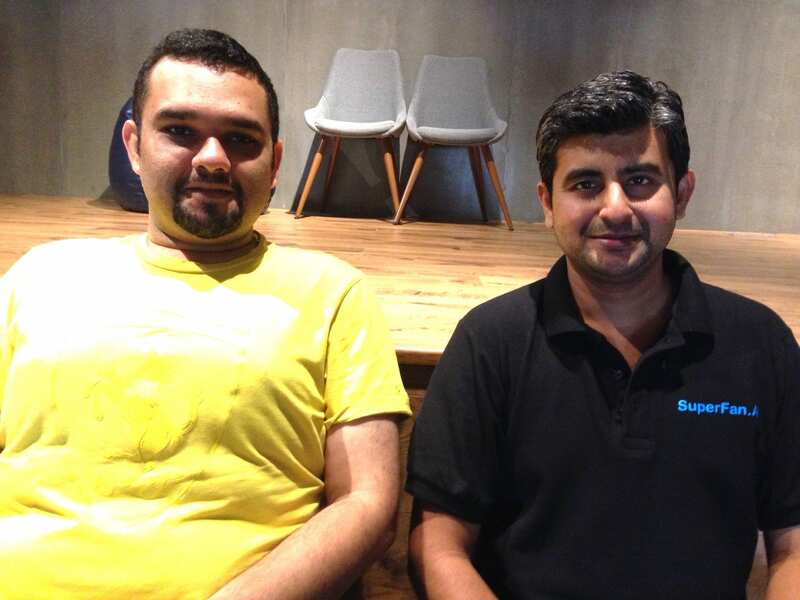 The Company has been co-founded by Snehal Dhruve & Bineet Desai. Snehal has worked on A.I. based technologies for the last 10 years in US with Fortune 500 companies & has tech expertise in Big Data, AI, API, iOS and Android. Bineet holds a degree in Masters in Management Studies (Finance major) from NMIMS, Mumbai & has been leading business development in Corporate Finance & Corporate Banking with various multi-national banks & Companies in India & abroad over the last 15 years.